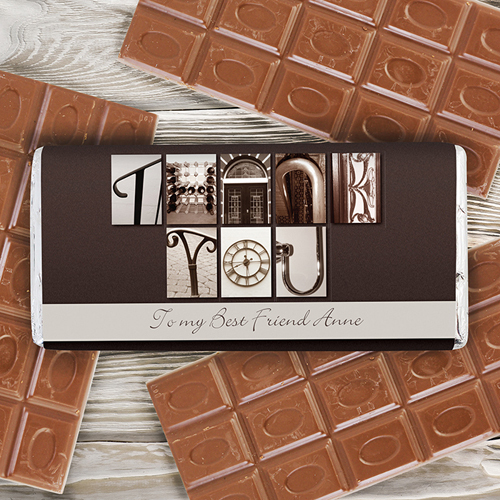 Personalise this Affection Art Thank You Chocolate Bar with a special message on the front up to 25 characters. A message can also be added to the reverse of the chocolate bar over 2 lines and up to 25 characters per line. The image is made up of different architectural images to display the word Thank You. Personalise with a special message on the front up to 25 characters. A message can also be added to the reverse of the chocolate bar over 2 lines and up to 25 characters per line.